With our Bionic Canadier we offer a light and stable paddle for all trips in moving water. 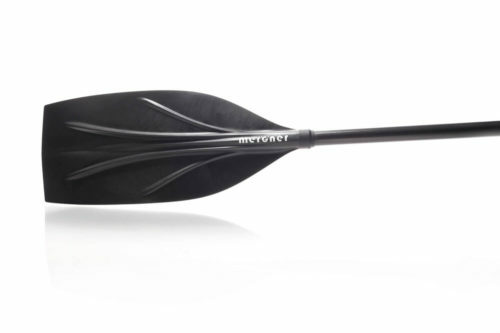 Whether open canoe, closed canoe or tube canoe, with this paddle you feel comfortable in whitewater. The fillet and bionic ribs make it possible: a leaf surface that is very stable – despite its size – and light. 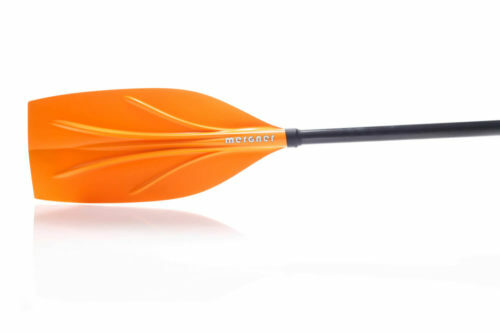 The handle is made of polyamide and carbon and weighs only 58 grams. Following the needs of experienced slalom riders, we have designed what we believe is a perfect grip. This puristic and well in the hand lying element was for us the starting point of the penetration paddle. Due to the high-quality materials and the well thought-out construction, the handle is light and stable. Carbon fibres give the surface its very own character – you simply have to take it into your own hands! Because it has a constant diameter of 30 mm over 140 mm – a tube – it offers a large area for grip variations and full control over the rotation of the paddle along the shaft. The materials of the leaves and shafts are as good as ever and have proven their worth in kayak paddling. Lengths: Standard 145 cm, 150 cm, 155 cm, 160 cm or according to customer request, other lengths are no problem, please contact us. The self-assembly of the T-handle by the retailer is possible, the knob is glued with epoxy.